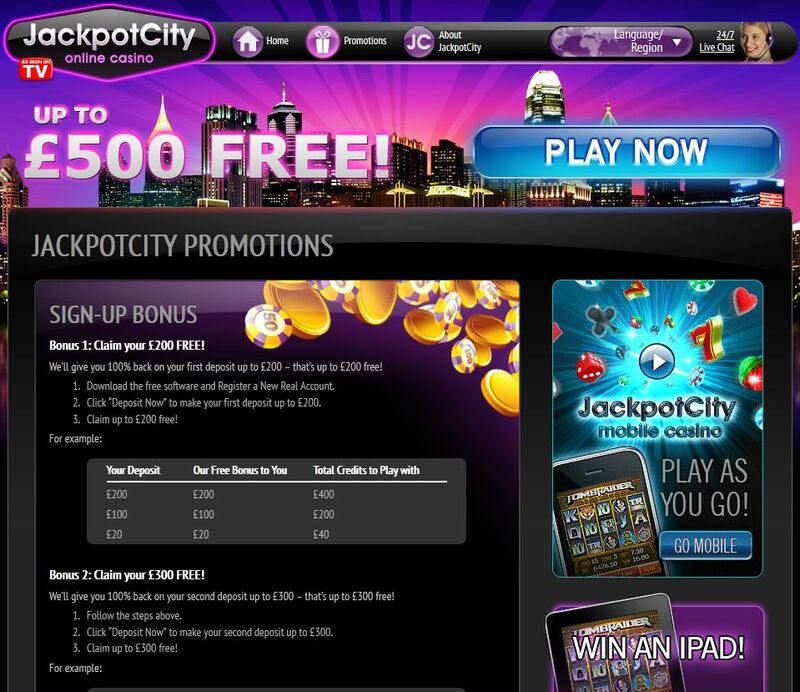 Among all the cool online casinos you see on the Internet, one of the oldest and most popular is Jackpot City casino. This online casino has been around for more than a decade – it was set up in 1998 – and continues to provide online gambling fans with all the thrill and excitement that one would expect from one of the best in the business. The casino looks cool, with a great interface, and has a number of player-friendly features. 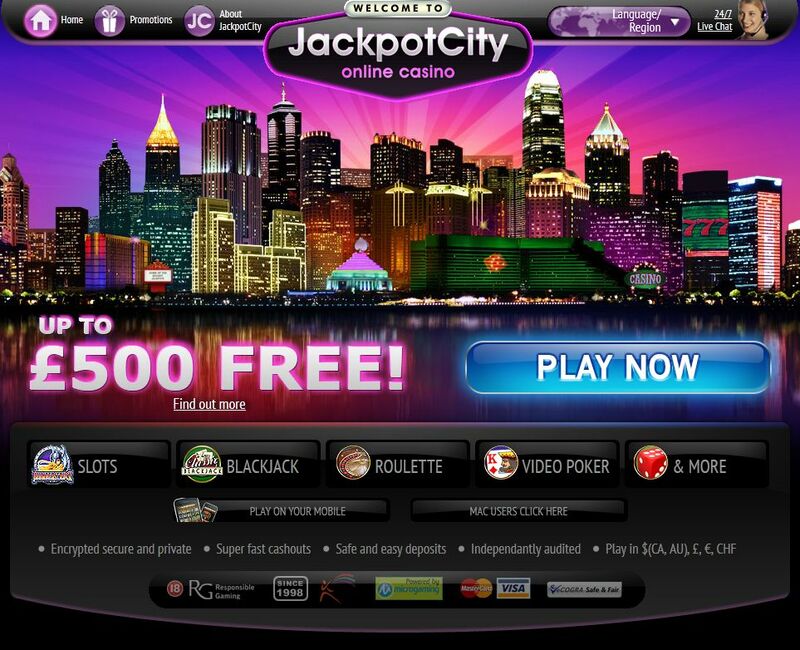 Jackpot City is part of the Belle Rock Entertainment group, a well-known name in online gambling circles. The casino is operated by Tower Rock Ltd., a wholly owned subsidiary of Carmen Media Group Ltd., a Gibraltar-based company. It is licensed by the government of Gibraltar. Jackpot City is available in multiple languages apart from English – Spanish, French, German, Italian, Swedish, Norwegian, Finnish, Danish, Greek, Japanese, Dutch, Portuguese, Russian, Polish, and Turkish. There is also a mobile casino that allows you to play the games directly from your mobile phone. Jackpot City uses advanced online security technology, including 128-bit SSL encryption, to provide you a completely secure environment. It is also certified for fairness by eCOGRA. You have to be over 18 years old to play the games available here. The casino doesn’t accept any new players from the US. Jackpot City is powered by software from Microgaming, one of the best in the business when it comes to online gambling software development. Available in both download and instant play versions, the software provides the casino with a range of cool features. Apart from some excellent graphics and sound effects, the software also facilitates multi-table play, the ability to check hand and transaction histories, superb animations, and much more. The latest addition is the mobile casino, which has become a rage among online gambling fans. Jackpot City also has a large selection of some of the best online casino games. Games available include slots, table and card games, video poker, and also specialty games. The casino has an amazing 400+ games for you to choose from, and that is a lot of games! Jackpot City has exciting promotions for all players who come to play the games available for real money. The casino offers a 100% up to $500 welcome bonus to new players across their first two deposits – up to $200 free on the first deposit and up to $300 free on the second. Other promotions available at Jackpot City include free spins on some of the slots, free credits, and a loyalty bonus. The casino has regular promotions as well, and you can find out more about them at the casino’s website. Besides there are also rewards to be won at the casino, including loyalty points and auction points. Jackpot City accepts payments in US Dollars ($), GBPs (? ), and Euros (€). It supports multiple payment methods, giving you a good range of options to choose from when you are making a deposit into your casino account. The deposit options available include credit cards (VISA, MasterCard, and Diners Club International), debit cards, UCB, ACH, Click2Pay, eChecks, UseMyWallet, NETeller, PaySafeCard, UseMyBank, UKash, ClickandBuy, MoneyBookers, direct bank transfer, EcoCard, and EntroPay. You are guaranteed excellent customer support at Jackpot City. A team of dedicated, efficient, and friendly customer support executives is on hand 24×7 to respond to any queries or issues you may have at the casino. You can get in touch with a customer support executive via live chat, telephone, and also e-mail. The casino also has a detailed FAQ page that you can refer for answers to your queries or issues.